Last month, I shared with you guys Part 1 of the 2-part Diastasis Recti series, and the response was overwhelmingly positive! I had more views on that blog post than nearly any other post on my entire site. If you haven’t read Part 1 you can do so here. 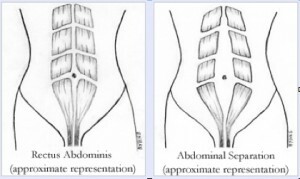 I got so many emails, message, and comments from you guys who had never heard of diastasis recti and were grateful to understand what was causing the muscle separation or ‘post baby tummy’. In Part 2 of this diastasis recti series, we are going to review some of the reasons why diastasis recti happens after pregnancy, and in this part we are going to offer some suggestions on what you can do to help repair it. 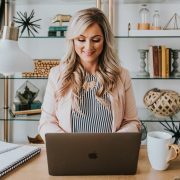 I reached out to Fiona Trewhitt who is an Australian blogger who runs the blog Mumafit to see if she would help me write Part 2 of this series and she graciously agreed. I started following Fiona a few years ago and I love the realistic and practical advice she offers. She is a mother of three young children (in four years!) 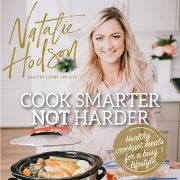 and is passionate about inspiring women to live healthier, happier lives, particularly during and post pregnancy. Fiona is a degree qualified exercise professional and Life and Wellness Coach. 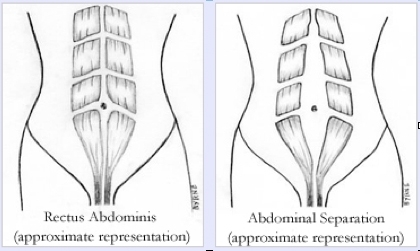 Diastasis recti is the separation of your rectus abdominus muscles, the outermost abdominal muscles. It can contribute to the ‘mummy tummy’ pouch and weaken your postural support, resulting in back pain. It makes sense that during pregnancy your muscles need to expand to accommodate the growing uterus. During this expansion, in some cases, the connective tissue holding the muscles together thins and weakens causing a ‘gap’ between the muscles. Is there anything you can do to prevent diastasis recti from happening? Yes, you can avoid anything that places too much pressure on your abdominals once your uterus has begun to expand. For example, if you were to do a frontal plank when heavily pregnant, and your abdominals are weakened to the point where they can’t sustain the contraction, then you can consider your abs like elevator doors – they start to slide open under the pressure. For this reason, you should avoid planks, crunches, sit ups, full push ups, and double leg lifts. Even sitting up straight in bed from a lying position should be avoided – roll to your side and use your arms to push yourself up instead. Not everyone is affected by this condition (around 66% of post natal women) so this advice may be considered conservative by some, however pregnancy is a great time to exercise caution and moderation. Once your baby is born, ask your doctor, midwife or a physiotherapist to assess you after having your baby. You can also self-assess by lying on your back with knees bent up, and placing your fingers in the midline of your belly and lifting your head slightly with abs relaxed. You are feeling for a gap between your left and right abdominal muscles. As you rise and lower slightly in this position, you may feel that your fingers sink in slightly and can feel the ridge of muscle on either side as you rise. If you rise in a sit up type movement, and see your tummy rise in a ridge or cone shape, this is also a sign that you have a diastasis. If a gap is detected between your abdominals, you can measure its length, width and depth, and then monitor these measurements as you work to close it. Width is most commonly measured by ‘fingers’ and it can range from one finger width to a hand or more in severe cases. 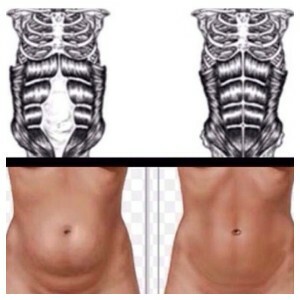 What are exercises should you avoid doing if you do have diastasis recti? You need to avoid the same exercises as listed above. Any frontal planks, crunches, sit ups and double leg lifts. There are several Pilates and yoga moves that are a ‘no no’ for this condition. To be your own judge of what you can and can’t do, pay close attention to how you are bracing or ‘holding’ your core abdominal muscles during absolutely any exercise that you do. If you notice that you can no longer hold your abdominals throughout an exercise, then stop and modify. Side Bridges and core stability exercises are ok. If you want a complete program showing you exactly what exercises to do and NOT to do, click HERE. If your baby is older, can you still heal your ab separation? Yes, it’s usually never too late to heal your abdominals and it’s certainly never too late to start building a stronger core. In very extreme circumstances where there is no improvement with dedicated rehabilitation exercises, surgery may be required. When is it safe to start doing crunches, planks, etc after I have had a baby? For about 70% of women with a diastasis, it will heal itself during the first few post natal months. For others, it will only heal with dedicated rehabilitation exercises. You can safely resume these type of exercises once your gap is closed or less than 2.5cm and you have rebuilt your core abdominal strength so that you are strong enough to contract the muscles as you exert effort in any exercise. What can I do to help heal it? With dedication to abdominal rehabilitation exercises you can begin to reconnect the muscles. The correct rehab exercises teach you to isolate contraction of your transverse abdominal muscles (the deepest layer of muscle that runs horizontally). The connective tissue itself can remain weak for some time after birth due to the hormones in your body, so a little patience may be required. It’s a great idea to visit a specialist physiotherapist if you feel you need intensive help. In a seated position, pull your belly (transverse) towards your spine and hold for 30 seconds, continuing to breathe whilst doing so. Try and pull it even closer to the spine and then release. Repeat 3 times. In a seated position, pull your transverse towards your spine, then release, but not fully, immediately pull back towards your spine again and continue to repeat 50 times, slowly. Repeat 3 times. Lying on your back, pull your transverse to your spine and hold, imagining a zipper like action as you contract your pelvic floor and abdominals at the same time – zipping everything up towards your rib cage. Tuck your chin to chest and lift your head slightly and repeat 10 times. Do 3 sets. The above exercises need to be performed daily. You should start seeing a measurable improvement within a month. If you are not seeing improvement, you should consult a women’s physiotherapist in your area who specializes in this rehabilitation for further advice. 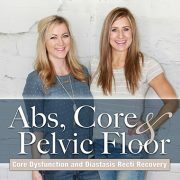 We have images and videos of the exact exercises you can do to improve your Diastasis Recti in our 30-Day “Abs, Core, and Pelvic Floor” program. We wanted to offer a more comprehensive approach in our 30 day program. You will learn about anatomy, pressure, posture, self affirmations, you’ll be able to watch videos, see pictures, and have written instructions. It’s lower cost ($37) and the information (almost 100 pages of content) will be an amazing resource to keep you on track! You can find that HERE! Bonus is, by healing your diastasis using these methods, you not only build improved core strength, you also reduce potential back pain, reduce waist size and gain a flatter tummy. If you want to read more about Fiona (and I suggest you do!) you can follow her on Instagram @mumafit, Facebook, or her blog www.mumafit.com.au. Thank you, Natalie, for sharing this information. 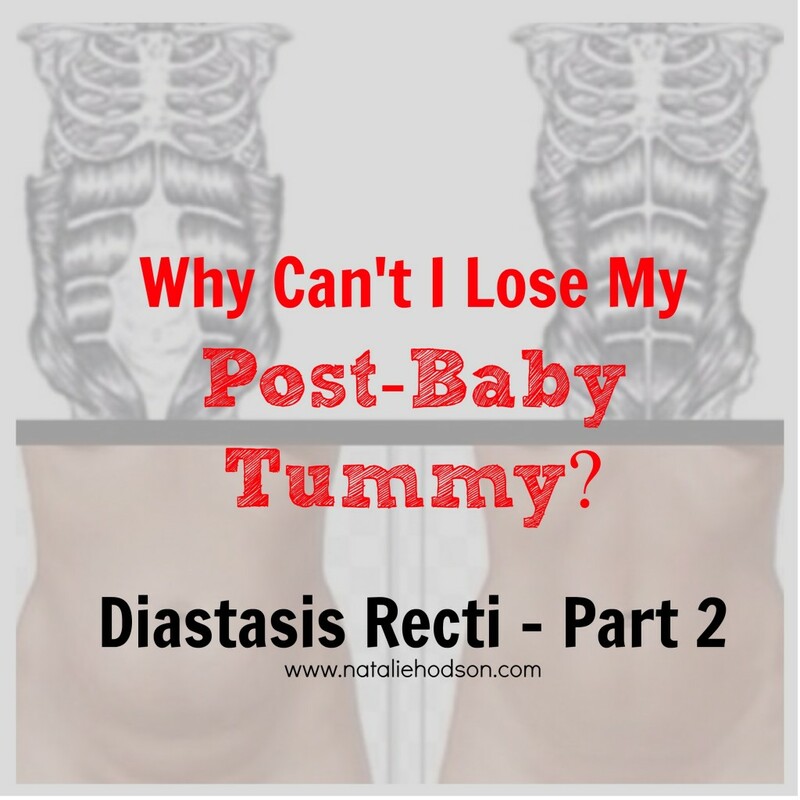 I have been in a rut for awhile (my youngest is 3) and now I think that one of my problems is diastasis recti. And I have been trying to do crunches….no more! Thanks for the info about Mumafit- it looks great! Will your abs feel sore after doing this? I am 62. A couple years ago I had a laparoscopic appendectomy and ever since my stomach has lost all shape. I wonder if these exercises might be appropriate for me? Yes. They Definitely will be. I am 60 and exactly have the same. I thought maybe it was a tumor or they left something behind. I look like a giant Apple. I’m having some other symptoms since that surgery. The doctors say nothing is wrong. I have not been well since that surgery. I’m so glad to find this. I’ve suffered with this condition for 4 years. Hoping these exercises will help. Thx. It’s ALWAYS important to loose weight and tone the body through diet and exercise. However, it’s important to also know that for some women, no matter how many crunches and ab exercises they do, diastasis recti can only be reversed through surgery. This surgery is often done during an abdominoplasty, in which excess skin and fat are removed from the stomach and the muscles are repaired..
By pulling in toward the spine, do you mean sucking your belly in? Or flexing your entire stomach? I’m a man and I think that this is what’s going to finally help my situation. .bad posture mainly unable to flatten my stomach.. I had a c-section over 26 yrs ago. Which resulted in a fanny pack stomach. And I still can’t get rid of it. What can I do? Please help I tired of it and I can’t look descent in jeans. Thank you!!! Hi thank you for sharing. After following your steps I don’t believe I have diastasis recti but I do have that “mommy pooch” (arrgh) around my c-section scar. I exercise regularly and I even have abs but I can’t get rid of my fat on my lower abdomen. Do you have any tips or advice? I am 53 and have always been physically fit. But, now I have the belly. I had 5 c-sec and two laprascopy surgeries I feel that I have absolutley no help with the abdominal muscles any more. My sitgeries were out skin up and down inside is a T shape. Does this play a part or is it that I’m just old. I don’t eat junk and have limited surgar. Just feel defeated. I had my last child almost 12 years ago and am wondering if this is my problem. I have never been able to flatten my tummy after I gave birth. I guess mine never healed. I am sure I have this condition. I am a mother of 5 and the last pregnancy was twins. I have lost all the baby weight but my stomach is not flat and I have lower back pain quite often. All the sit up and crunches must be adding to my problem instead of helping. My twins are now 7 years old. I looked at the Mumafit app but looks more for pregnant women. Would it help me or are there other apps for someone like me? Is mother’s apron the same result if it isn’t taken care of early enough? Thanks for this advice. Sadly, no use for me! A medical exam concluded that the structural damage to my abs following three kids was beyond rehab and requiring surgery. Exercising, even gently, only made the post partum hernia worse and threatened to distend intestines. I am really curious, after reading this, at what point should I have realised that exercise was not working and might be harmful? When it looks just like anyone else’s pooch, how could I have known, and sought a med exam sooner? The video was very helpful and made me aware .. Of what I was doing wrong.. I will keep up that training .. Regime…. I have four kids and have this. What abdominal excercises can I do? I love to plank but feel it’s not getting me anywhere. I don’t want to lose weight I just want a waist and a defined abdomen. I have a android phone.. is there a similar app for me? Are their videos of these workouts, I need a visual 🙂 Also, what do you mean by incontinence? I am 51.I go to the gym and have been doing crunches,sit ups and planks and did not realise the reason i am not getting a flat tummy until reading your article. First of all thank you for posting your article once again . For years I had been trying off and on to excercise my tummy off but never could. 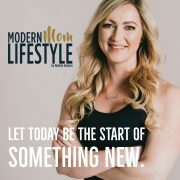 I did not realize I had Diastasis Recti and now ask , with my youngest being 15 yrs old, what can I do to help myself overcome it at this time in my life? I had this issue for 18 yrs and have a large hernia in the opening. It’s so bad that when I lay back or sit up it looks like the movie Alien when the alien is about to bust out of the crew members stomach. I still look pregnant and my youngest is 15. Will these exercises do me any good? I had two c-sections and have absolutely no feeling from about my belly button down and all the way across my stomach from hip to hip. I have never been able to loose the pooch at all. Planking, crunches, situps…. and I always shake so bad when planking, no matter how long I have done it. I’m so discouraged. Hello I have bowl belly and had my baby with caesarean so I still figure out how to get my belly back in shape,after 2 years .Can you help me? How much would cost? I am 59. I had a natural birth 27 years ago and stomach bounced back from that. I had a laparotomy for an ovarian cyst 20 years ago, and my stomach has never been the same since. My stomach just “fell out” and still hangs in a pouch. In scanning this article, I did not see any mention of recovering from a cesarean or abdominal surgery in comparison to a natural birth–Maybe I missed it. For me, the abdominal surgery without the pregnancy was far harder on the shape and strength of my abdomen than a pregnancy and full-term birth. Can I repair my diastasis recti even if it’s been 9 yrs since my last baby? Is there a Mumafit for Android? Thankfor the info. I had undergone surgery 4 months ago to get this fixed after having my 2 children. 4 and 1 yrs of age. I had a seperation of 7 cm and the docters called it severe. I am still in reabilitation and taking exercises slow. I suffer from adema quit a bit and rest this far is the best results. Beside all these i feel great to be wearing clothes that does not need to hide my belly. And no need to listen to comments how people asumed i was still 7 months pregnant. For the first time i can share this with others to know your not alone. This is great information, although it is misleading to say the mamafit app will give you 65 exercises and more for cost of a coffee. I’m not sure where you get coffee but I never pay more than $5 for one ? This is great info. Thank you so much! Will it work after a hysterectomy. I’ve had two kids, a abdominal surgery and a hysterectomy and I was wondering if these would work for those as well. Thanks for the info. This is what I was looking for. Do you know if it is okay to do swimming with these rehab exercises? I feel inspired to try these exercises. I had children yrs. ago and am now 66. You mentioned its never too late to strengthen the core. How should I start and what exercises would be good for beginners? My youngest of three is two years old. I always had a flat tummy until I had kids. My upper abs seem back together, but at my belly button and below they are still separated. Should I still be avoiding planks while trying to fix the rest and build my core? Is this still work even if your last child is 12 years old now. I get frustrated of my weight, middle section and easily give up any exercise. Hello, I’m a 52 yr old and my youngest is 28. When I do anything that uses my stomach muscles they pop out into a big bulge. Why is this and can I do anything about it? I really hope my comment be posted in that other momma’s share my experience in this discovery of Diastasis Recti even years later after child birth! My youngest is 12 . Is this what is called ‘stretched out stomach muscles ‘? Why 1 friend can have flat stomach after all babies..however my tummy even with low weight gain (from healthy eating and chronic nausea) ? Anyone??? Thank you for that picture. I feel like my stomach will never be the same. I have done P90X, insanity, and several other cardio/workouts…. then to read your blog making it seem like I am making it worse! I still look pregnant and i hate it! We are planning to have additional children, so do I need to wait to try and heal? My son is already over 1 years old…. so will it even work? I already told my husband that I was starting to save for a tummy tuck! HELP!!! 61 yrs old my youngest is 27 can this work for older, Grama’s. Please help tired of needing to tuck in my gut. I would love to download this app, but am having trouble. Please help!! When I clicked on the link for the app it transferred me to the australian App Store but then said that its not available. I then tried searching on us App Store and couldn’t find it there either. Any suggestions??? Thank you Natalie, this information is very interesting. I have a diastasis (7 cm). I would like know if it is possible for me to do these exercises. I should like to avoid a remedial surgery. Please let me know how I can get ahold of your programme.